Imagine doing a routine task the same way over and over for your whole life. Each week, for 17, 42, 65, 93 years, the task is a pain point for the uniquely you. A frustration for whatever the reason – it’s cumbersome, messy, doesn’t work, painful, need help, frustrating, etc. Now, imagine how you would feel if there were a solution that makes it easy, painless, no mess, and quite pleasurable. Thomas Edison is a man who symbolized change and continuously developed solutions, many of which are still embraced today. 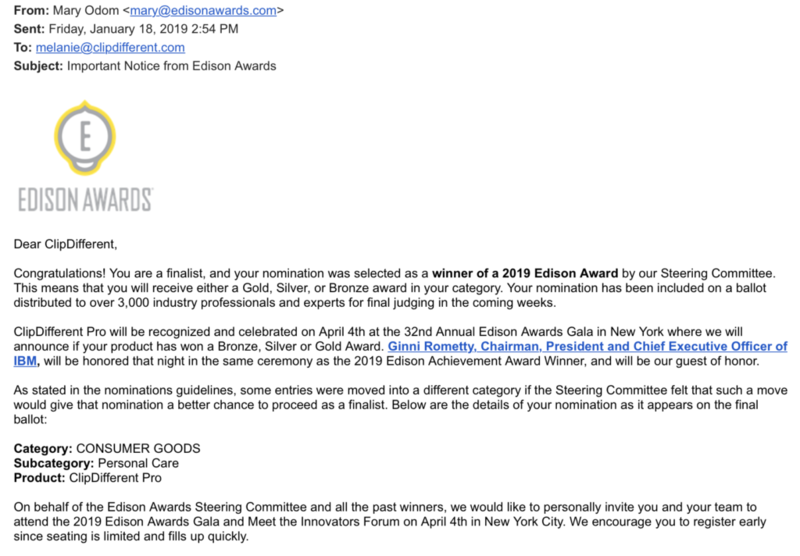 The Edison Universe nominated ClipDifferent’s “game-changing” clipper as the 2019 winner of either Gold, Silver, or Bronze Edison Award for the Personal Care category. An innovative solution impacting millions. The Edison Awards is an annual, international competition designed to honor excellence in new product and service development, marketing, human-centered design and innovation. Winners represent “game changing” products, services, excellence and leadership in innovation around four criteria: Concept, Value, Delivery, and Impact. We’re honored and humbled by this congratulatory email highlighting ClipDifferent’s first product. Congratulations! You are a finalist, and your nomination was selected as a winner of a 2019 Edison Award by our Steering Committee. This means that you will receive either a Gold, Silver, or Bronze award in your category. 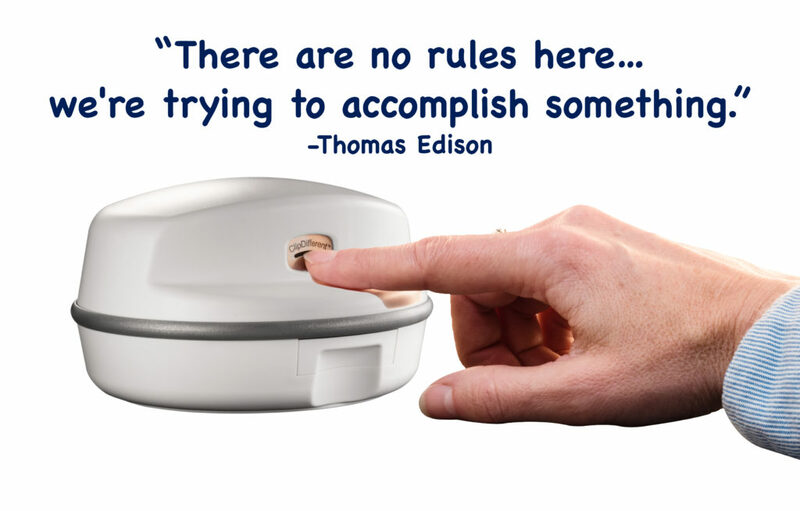 Like Thomas Edison said, “we’re trying to accomplish something” and “there are no rules” and for ClipDifferent that means there is no resting in the pursuit to help as many people as possible clip their fingernails. We need your help and suggestions in getting the word out to as many people as possible. We are wide open to fresh ideas and effective ways to build the #ClipperHood community.